In high-stakes environments, success is not just about playing your cards right, but also playing your opponents right. Looking at how more than 35,000 individuals interacted when playing millions of poker hands online during a three-week period, a University of California, Davis, study published today reveals that game experts are an excellent source of insight into how people process strategic information in competitive settings. Poker experts must extract information from others without revealing too much themselves, he said. “Sharks (expert players) accomplish this feat by carefully managing how their wagering behavior is informed by public and private information sources. Their peculiar information management behavior allows them to maximize their coherence with the information they use without ‘tipping their hands. '” And we know that experts aren’t just better at reading body language. Online poker eliminates in-person knowledge of other players, including cues such as eye contact and other fidgeting. The study, “Information encryption in the expert management of strategic uncertainty” is published in the journal Cognitive Science. Frey’s co-authors are Dominic Albino, a former professional poker player in training as an economist at the University of Connecticut, and Paul Williams, an information theorist in the Cognitive Science Program at Indiana University. Frey notes that interest in strategic experts, particularly chess experts, goes back to roots of both cognitive science and artificial intelligence, and studies as far back as the 1950s have looked at the way people play games. Frey and co-authors look at the No-limit Texas Hold’em variant of poker, which works well for the study because the game is designed to make bluffing a central aspect of play. The game offers many mechanisms by which players can strategically misinform each other about the value of their cards. 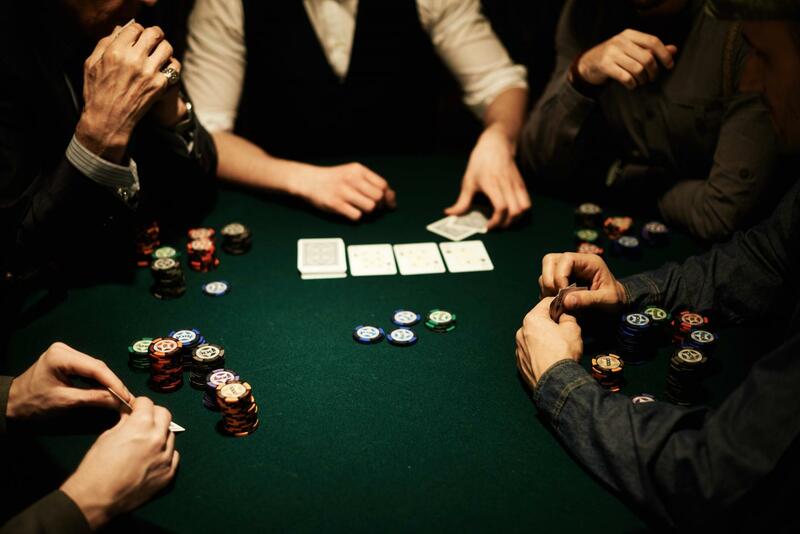 Players with strong hands may signal weak hands with small bets to keep the pot growing, and players with weak hands may signal strong hands with large bets to intimidate their opponents into folding before “showdown,” when all players left in the game must reveal their hands. A player wins and collects the pot of wagered money if they have the best cards at showdown, or if all other players have folded before showdown. According to the data collected in the study, only 10 to 15 percent of poker players are profitable. “Professional poker players are experts at extracting signal from noise across many channels, and at integrating information from those channels both to exploit their opponents and protect themselves,” the authors conclude. “By understanding uncertain strategic behavior in terms of information processing complexity, we offer a detailed account of how experts extract, process, and conceal valuable information in high-uncertainty, high-stakes competitive environments.” This could influence scientific approaches to negotiation, game design, and other areas where strategy, mind-reading, and uncertainty come together. When can ads intensify unhealthy cravings?